The average visitor to Ireland has a lot on their travel to-do list, from Dublin to the Ring of Kerry and the Cliffs of Moher, even further afield to Galway and Donegal. An area of the country that’s starting to creep up on these to–do lists is what’s locally called the Sunny Southeast. Waterford City is Ireland’s oldest city and thanks to the natural beauty surrounding it, the entire region has a lot to interest any type of traveler. Although it has flown quietly under the radar for quite a while, that’s all starting to change as I learned while spending a few days exploring the city and larger County Waterford in partnership with Tourism Ireland. As soon as I arrived I chastened myself for not visiting earlier, so to help others correct this same oversight I want to share some of my favorite experiences exploring Waterford, Ireland. To hear more about my trip as well as listen to interviews I taped while visiting, please check out my podcast episode all about Ireland. County Waterford and Waterford City are located in the southeast of Ireland, about a 2-hour drive from Dublin. It’s part of the expansive designation known as Ireland’s Ancient East, a tourism label that has helped me discover some amazing spots around Ireland over the years. There are a number of different accommodation options but if you’re a luxury traveler like I am, look no further than the Waterford Castle Hotel. Just a few minutes from Waterford City, its peaceful location on a small river island means you’ll feel as if you’re in the middle of the countryside. Add in amazing hospitality, delicious food and the fact that you’re staying in a castle and this is one hotel not to be missed. 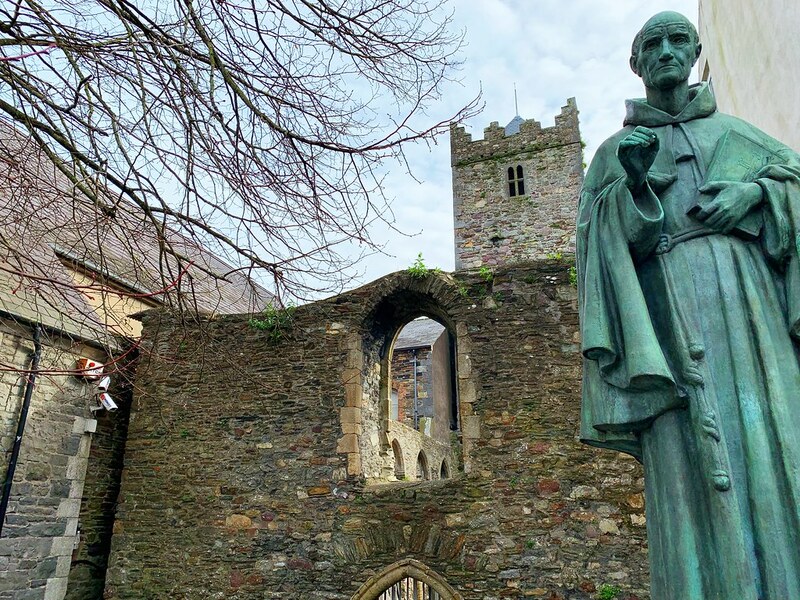 There’s so much I want to share about Waterford City itself that I plan on devoting separate posts to most of these experiences, but today I instead want to tease some of the many reasons why Waterford is such a fun city to visit. If you like history as I do, then you’re in for a treat as this is Ireland’s oldest city, founded by the Vikings in the 10th century. It’s not all about Vikings though, as I quickly discovered. There’s no doubt that what first attracts many to visit Waterford is the legacy of its famous crystal. Crystal was first produced in Waterford in the 18th century, but it wasn’t until after World War II that the company we all know well reemerged and once again produced the fine glass for which the name is so famous. 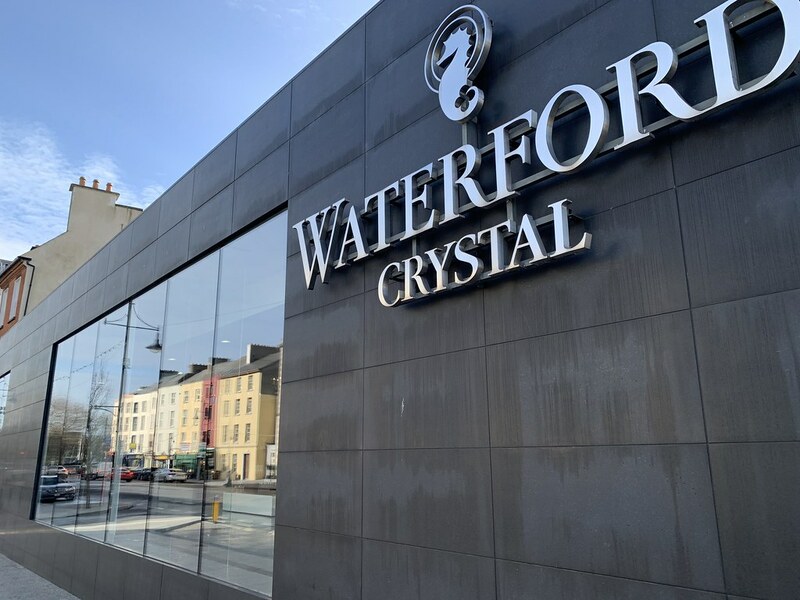 Waterford Crystal has been installed in some of the world’s most impressive buildings and although crystal is no longer made in the city itself, the legacy continues at the House of Waterford Crystal. There visitors can see some incredible examples of the crystal art as well as tour the facility to see how crystal is made. 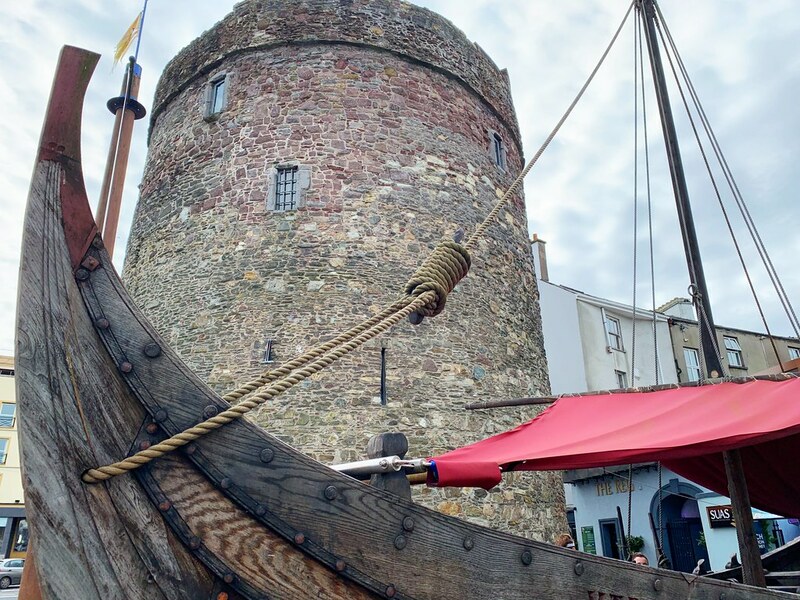 Inspired by the 1,000-year-old Viking walls that once surrounded Waterford, today the Viking Triangle is a collection of sights and museums all designed to help visitors better understand the history of the city. Close to the water, Reginald’s Tower is the oldest urban civic building in the country dating back to the 13th or 14th century. Not to be missed though was my favorite experience in Waterford City, the Medieval Museum. Walking up to the museum I was at once struck by the modern design of the museum itself, a fun counterbalance to the treasures inside. Truly an expertly curated museum, I joined a docent led tour to learn more about life not only in medieval Waterford, but throughout Ireland. Definitely plan on spending a few hours here though; it’s arguably one of the best museums of its kind in Europe. However, it’s not the only museum in the Triangle, right next door is the impressive Bishop’s Palace. Also part of the Viking Triangle is this gorgeous Georgian mansion. With so much emphasis on Vikings it was nice to learn about Waterford through a different, but no less interesting lens. Built in the 1740s and designed by famed architect Richard Cassels, the palace was once the residence of the Church of Ireland Bishop of Waterford. The modern museum though tells the story of the city from 1700 to the 1970s, with relics and exhibits that share this impressive history. There’s also a great little cafe adjacent to the palace that’s the perfect spot for lunch. For something a little different, I strongly recommend this innovative virtual reality experience. This first-in-the-world experience starts in a replica Viking house and as soon as you put on your headset, you’re transported to the Viking Age. History is brought to life in a way I’ve never experienced before and it’s so much more engaging than more traditional exhibits tend to be. I’ve never seen anything quite like it, but I hope it’s a tool other cities around the world will start to embrace. I have several articles to write just about the greater County Waterford, but for the purposes of this post I want to share a few that aren’t to be missed. Waterford City is a great home base from which to explore the many other sights and attractions that make the county so much fun to visit, starting with the Waterford Greenway. An innovative rails to trails project, the Greenway is a 46-kilometer biking and walking trail that follows the old railway line from Waterford City to Dungarvan across rolling farmlands, over viaducts and even along the shore. It was also a fun way for me to get out and explore all while being active. County Waterford is also home to a number of other interesting spots to visit from waterfalls high in the mountains to stately manor houses and elaborate gardens, along with small towns and villages that are fun to explore in their own right. I’ve seen a lot of Ireland, but few areas of the country have impressed me as much as County Waterford. 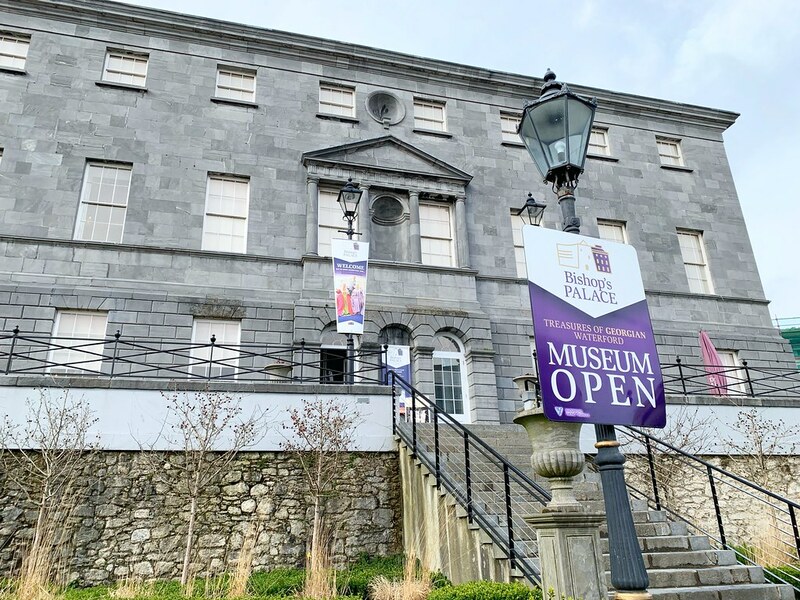 Whether your interest is in history, modern design or outdoor adventures, there’s a little something for everyone in and around Waterford City with the great advantage of lacking the tourist onslaught that other parts of the country can at times experience. This is a quieter side to life and one that I think every visitor to the country should experience at least once. Thank you Matt for coming to visit Ireland’s oldest city ‘Veðrafjǫrðr’ (Waterford), we really appreciate your very kind comments and we look forward to seeing you again in the future! Delighted you had such a lovely time – Waterford really is a place of hidden treasures and wonderful history!